Reassurance shield after the 23/33 split. 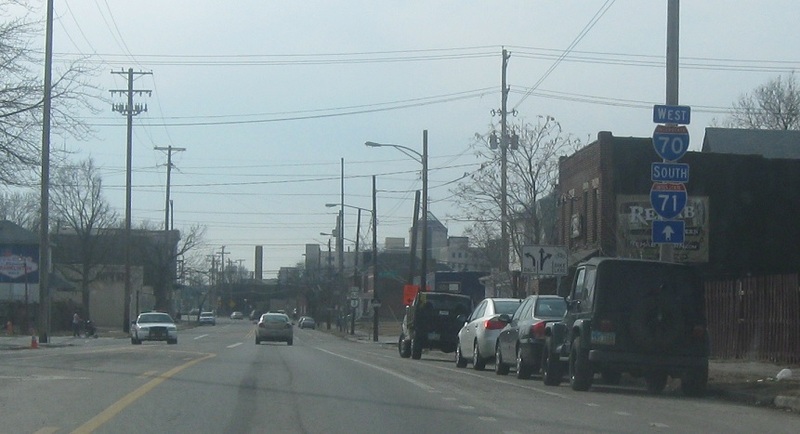 On the west side of downtown, stay straight on 62/3 to access OH-315. 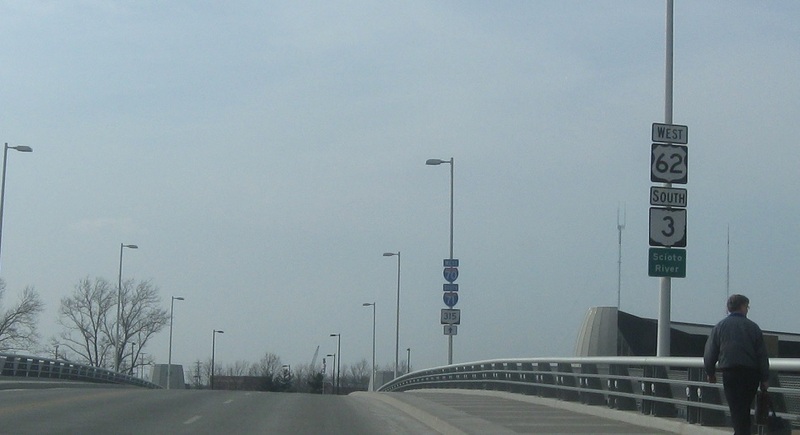 Turn right on northbound Front Street to access I-71 north and OH-315. 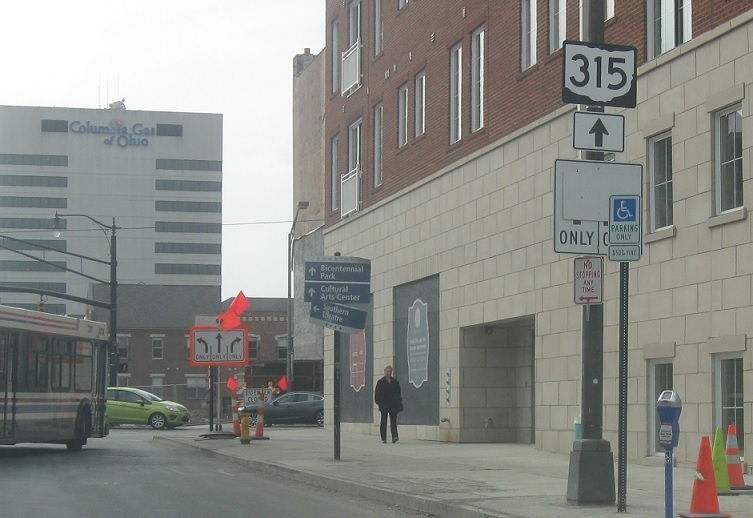 This sign at Rich St and Front St is an error. 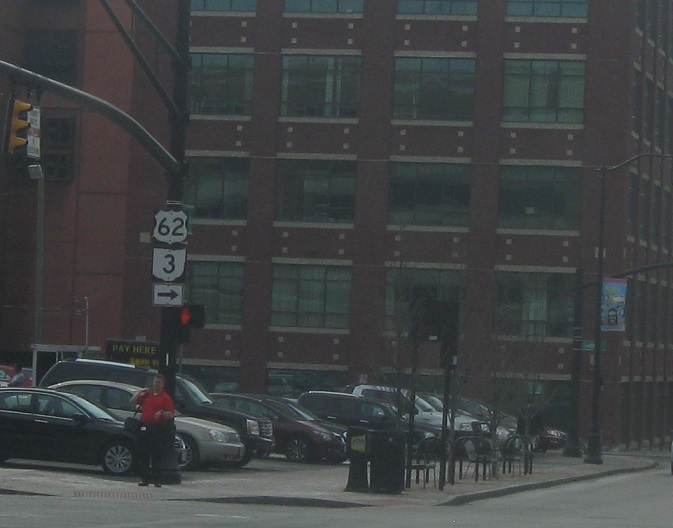 US-62 does not turn onto northbound Front Street. 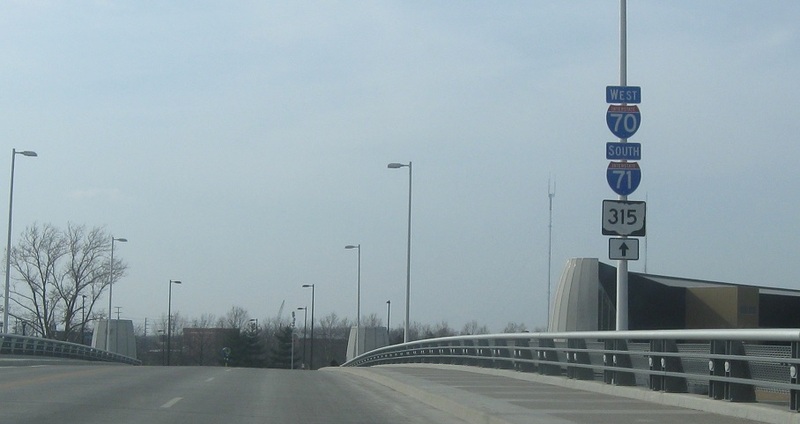 Stay straight through that next sign to cross the Scioto River out of downtown. 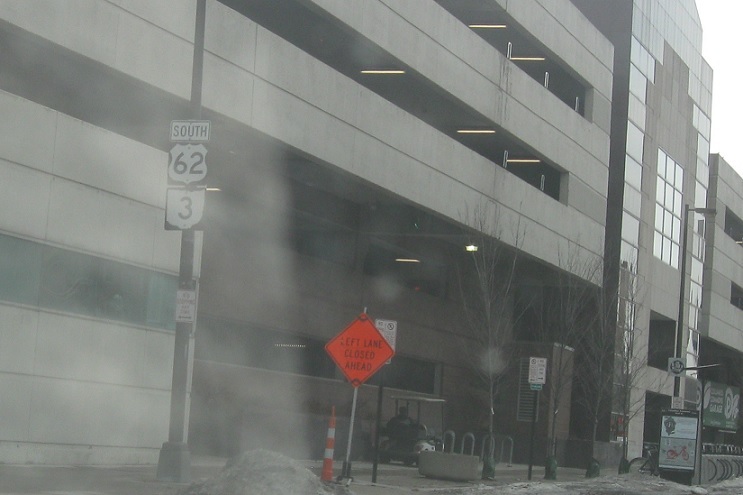 Stay on 62/3 for the interstates and 315. 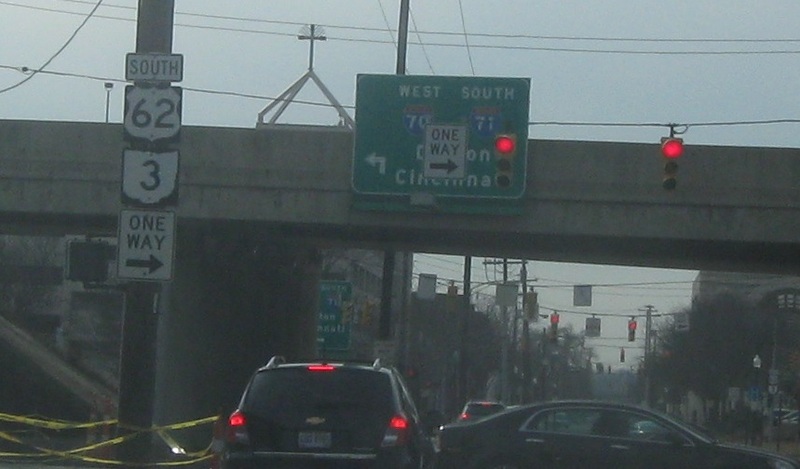 Stay straight to access I-70 west and I-71 south. 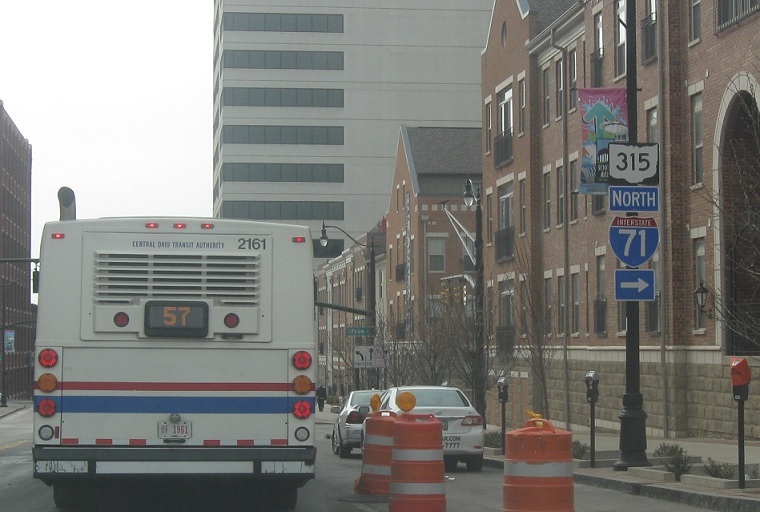 As we approach 315, keep left to stay on 62/3. 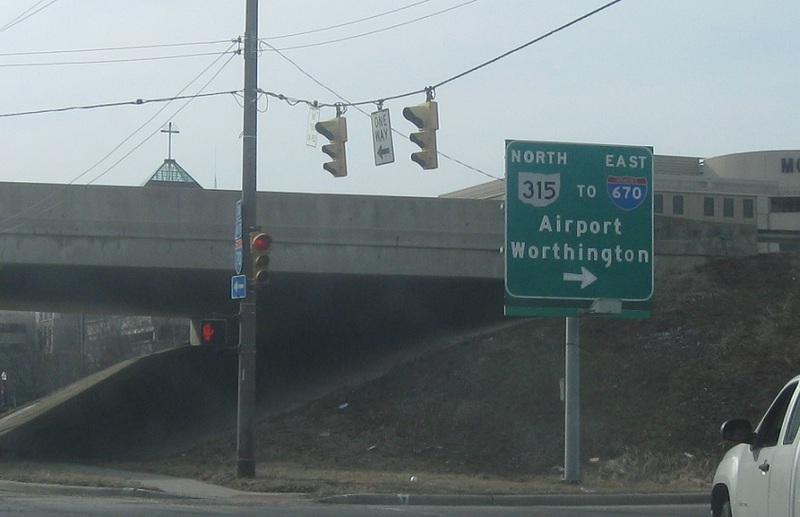 Turn right for 315 north to Worthington and I-670. 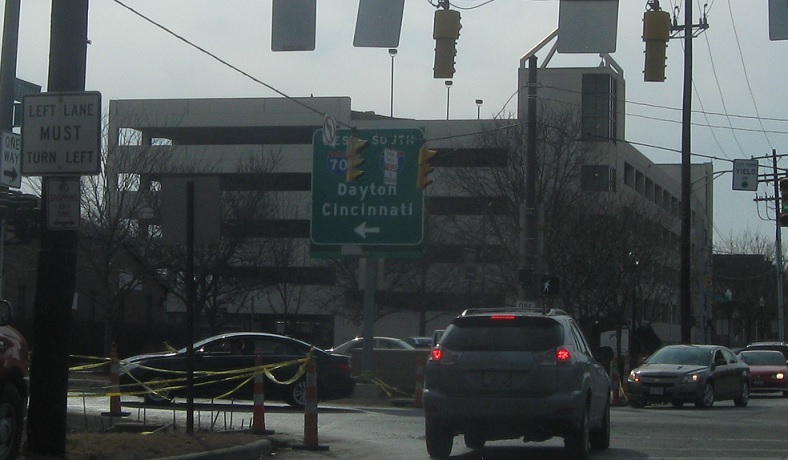 Turn left for 315 south, which essentially is just ramps to I-70/I-71. 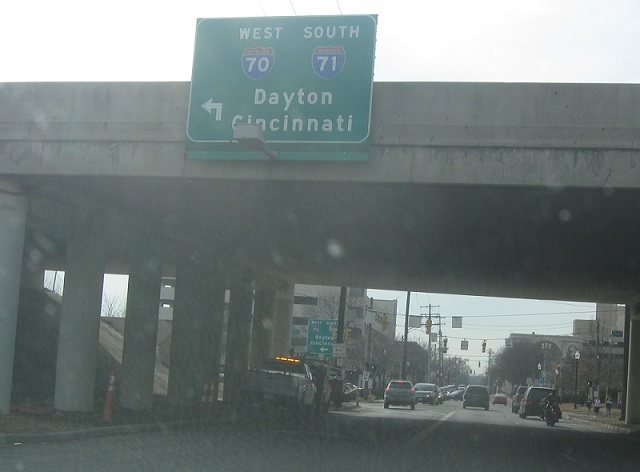 Turn left for 315 south to I-70 and I-71.